Ms. María Baron is an Argentine journalist and global executive director of Directorio Legislativo, an organization that promotes transparency in government, democratic consolidation, and enhanced access to public information throughout Latin America. She is also founding chair of the Latin American Network for Legislative Transparency, a group comprising 24 civil society organizations across 12 countries in the region. For her pioneering efforts in advocating for accountability and ethics in government, she received NDI’s Democracy Award for Civic Innovation in 2013. Ms. Baron is a member of the Steering Committee of the Open Government Partnership (OGP), and a board member of the Argentine Network for International Cooperation (RACI). 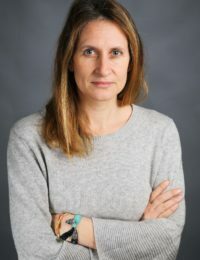 During her fellowship, Ms. Baron analyzed the structures that allow for successful partnerships between government and civil society in promoting democratic development in Argentina. She disseminated her findings through the publication of articles and the convening of meetings with organizations involved in open-government initiatives.